Spinal cord decompression is a general term that refers to a variety of surgical procedures intended to relieve symptoms caused by pressure, or compression, on the spinal cord. The gradual wear and tear of osteoarthritis, which usually occurs in people older than 50 years of age, is one of the most common causes of spinal cord compression. However, the condition can also develop quickly and at any age. Some of the other causes of spinal cord decompression include abnormal spine alignment, spine injuries, spinal tumors, rheumatoid arthritis, and infection. Symptoms of spinal cord compression can vary, but the most common symptoms include pain and stiffness in the neck, back, or lower back, burning pain that spreads to the arms or down the legs, numbness in the arms, hands, or legs, and difficulties with hand coordination. More serious symptoms can include loss of sexual ability, difficulty walking or getting out of a chair, loss of bowel or bladder control, and even paralysis. Spinal cord compression may be treated using a variety of approaches, including medication and physical therapy. However, many patients with spinal cord compression will ultimately require some type of surgery (that is, spinal cord decompression). There are numerous spinal cord decompression surgeries that can be used to relieve the symptoms of spinal cord compression. Several procedures involve the removal of portions of the spine, including the removal of bone spurs or the removal of discs. Other surgical procedures are undertaken to expand openings that allow nerves to exit the spinal canal. Some patients may require a combination of surgeries, and in some cases, surgical fusion (welding together the small bones of the spine) may also be needed to stabilize the spine. What are the risks of spinal cord decompression surgery? Like all surgeries, spinal cord decompression surgery has certain risks, including infection, bleeding, and blood clots. 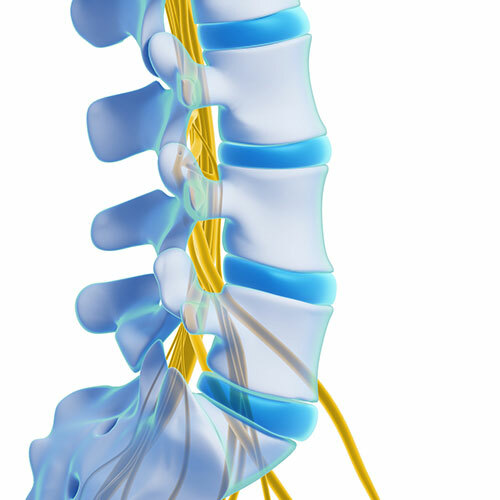 Damage to nerves or tissue surrounding the spine is also possible. What is the prognosis of spinal cord decompression? Surgery to relieve pressure on the spinal cord, and its associated symptoms, is successful for the vast majority (80%-90%) of patients. However, decompression surgery does not correct the underlying degeneration of the vertebrae due to the wear and tear of osteoarthritis and aging. As such, a return of symptoms is possible for some patients. Spinal decompression can be achieved both surgically and non-surgically and is used to treat conditions that result in chronic back pain such as disc bulge, disc herniation, sciatica, spinal stenosis, isthmic and degenerative spondylolisthesis. Schedule an appointment with a Florida Spine Institute specialist to discuss which treatment is right for you. Spinal Cord Compression. Johns Hopkins Medicine (2014). Available at: http://www.hopkinsmedicine.org/healthlibrary/conditions/nervous_system_disorders/spinal_cord_compression_134,13/. Last accessed 26 December, 2014. Spinal Decompression Surgery. Cleveland Clinic (2013). Available at: http://my.clevelandclinic.org/health/treatments_and_procedures/hic_Spinal_Decompression_Surgery. Last accessed December 27, 2014.